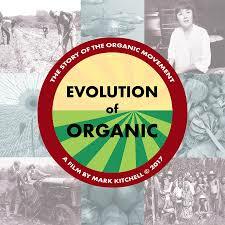 A motley crew of back-to-the-landers, spiritual seekers and farmers’ sons and daughters reject chemical farming and set out to explore organic alternatives in Evolution of Organic. It’s a heartfelt journey of change from a small band of rebels to a cultural transformation in the way we grow and eat food. By now, organic has gone mainstream – split into an industry oriented toward bringing organic to all people, and a movement that has realized a vision of sustainable agriculture.